Tangente has been a major figure in contemporary dance for 35 years. Forerunner of new tendencies, always ahead of its time, Tangente offers to the Montréal public innovative and imaginative programming of emerging artist. We forge encounters between audiences and artists through the presentation of surprising works that are the result of in-depth research. We offer choreographers professional support, access to a performance space, technical assistance, promotional tools as well as guaranteed artists’ fees. As for spectators, we propose multi-dimensional experiences on a human scale, and at an affordable price. It is through our Culture+ programme that we are also developing, in close collaboration with the artists, educational activities for schools, professionals and dance audiences. Give a hand to move a mountain! 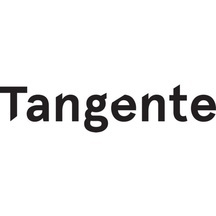 Tangente is proud to kick start an innovative project in partnership with Desjardins Caisse de la Culture and KissKissBankBank aimed at supporting artists. Artists included in Tangente’s next season, received a training session provided by Desjardins Caisse de la Culture and Nathalie Courville, Canadian ambassador of KissKissBankBank, and who is also an expert in communications and funding in the field of culture. Each one received in-depth training in personal funding for self-employed workers and cultural organizations and how to create and manage a fundraising campaign.. The artists are entirely responsible for the planning and the management of their own fundraising campaigns and Desjardins Caisse de la Culture augments the income earned from their campaign with an additional $500 as soon as the first $1000 is raised. By supporting this artist, you are helping significally his artistic project and giving him the possibility to learn how to be financially independant. Thank You ! Soutenez la création de Rituel Géométrique. Soutenez cette performance ( Québec-Belgique) qui sera présentée à Tangente au Monument National en Novembre prochain!